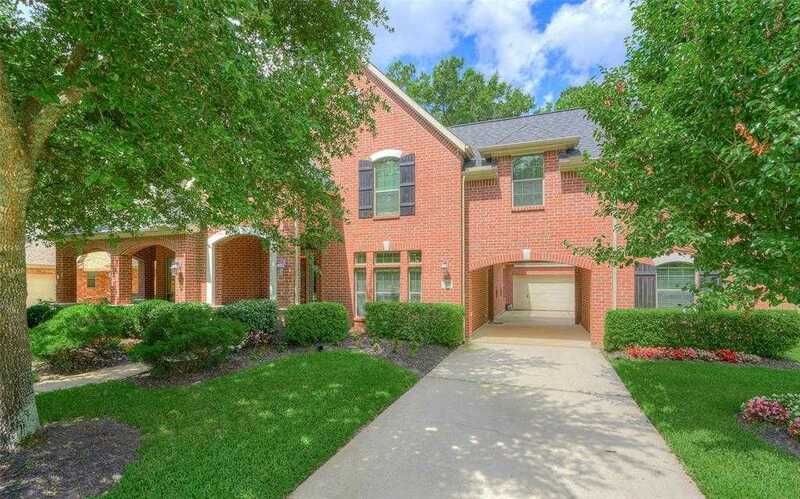 Beautiful 2 story Brick home with an amazing front and back porch, porte-cochere nestled in the gated section of The Enclave. 2211 N. Imperial Path is situated on a large lot that backs to a nature area. The owner has shown pride in this home with a new roof, built in pesticide system, updated master shower and much more! When you walk in you will find soaring ceilings and a open floor plan perfect for entertaining. Study has french doors out to porch, formal dining room, center island, 5 burner cook-top, SS appliances, Large Master bedroom suite downstairs w/spa like bath and another 4 Bedrooms upstairs. 3.5 baths total including a Jack and Jill bath. Good size bedrooms throughout. This beauty has an extra 18×12 space upstairs, would be perfect for a media room, workout room or a craft room. You are just a walk away from the Park, tennis and basketball courts, soccer fields and nature trails. Call today for your private tour. Please, send me more information on this property: MLS# 95022369 – $485,000 – 2211 N Imperial Path Lane, Spring, TX 77386. I would like to schedule a private showing for this property: MLS# 95022369 – $485,000 – 2211 N Imperial Path Lane, Spring, TX 77386.